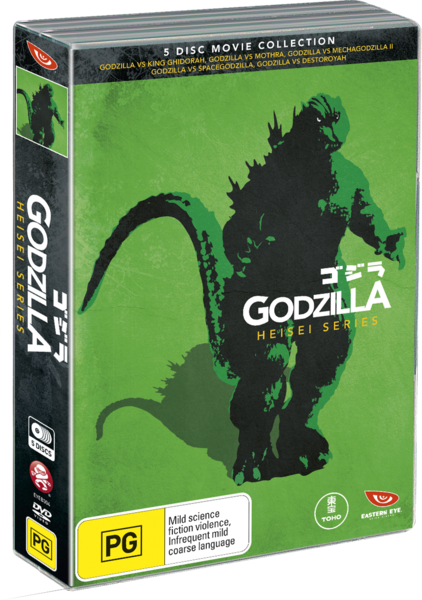 It's back and larger than... well it's still the same size but alas Godzilla Week has returned for another year. Last year I reviewed all the films from the "Millennium Series" of Godzilla films that ran from 1999 - 2004. This year we'll be visiting another era of Godzilla films that isn't too far from the "Millennium Series" and is in fact the prior era called the "Heisei Era" that took place between 1985 - 1995 (although the first film wasn't made until 1991). While there are only five films in this series that doesn't mean that all seven days won't be filled as on Saturday and Sunday there'll be two mystery Godzilla reviews. But in the meantime... Ruuuuuuunnnnnnn! It's Godzilla Week... AGAIN! Godzilla Vs. King Ghidorah starts off with scientists talking about how Godzilla is sleeping at the bottom of the ocean and how they can track him with a computer. We then zoom to a dinosaur exhibit where we see an old man warning people that a great dinosaur will destroy Tokyo. Then we are met up with a writer who is sick of writing fictional stuff and wants to work on non-fiction. Shortly after we see an UFO flying across the sky and then landing on a lake. The UFO landing makes all the papers and has the army afraid that there is an alien invasion about to take place. Turns out the aliens aren't aliens at all as it turns out that there are humans controlling the ship. The UFO also ends up being a time machine from the future (the year 2204 to be exact) where the humans who are on it have come to warn that Godzilla will turn Tokyo into a wasteland and they ask the writer to help them. (Sadly I am out of preview space but do not worry as the rest of the film's description plus the rest of the review is after the jump). (Click "Read More" to read the full review). Their plan is pretty crazy as they plan on going to the past where the Americans are at war with Japan to capture a living dinosaur that will end up mutating into Godzilla thanks to the H-Bomb (which is nothing to do with accidentally saying "Heck" on television)... Yeah, try wrapping your head around that one. Sadly something goes wrong, while they were successful in capturing the pre-Godzilla dinosaur they accidentally (or so it seams) leave three little dragon-cat hybrid creatures that are also from the future back in the past. Once they return to the present they see that the "H-Bomb" has mutated those creatures whom have combined into one to make one pissed off three-headed dragon named King Ghidorah. How on Earth are they going to help Japan now? The story in this film has got to be one of the most insane stories that this series has to offer (only to be out beaten by "Godzilla - Final Wars (2004)"). I did like it though as it was very entertaining. This film also pays tribute to a lot of things in this show like: "Close Encounters of the Third Kind (1977)", "The Terminator (1984)", and "The Six-Million Dollar Man (1974 - 1978)" to name a few and it does it very well and adds a lot of fun to the film. The problem I have with this film is that this film is a bit hard to describe to people as there is a lot going on in this film. 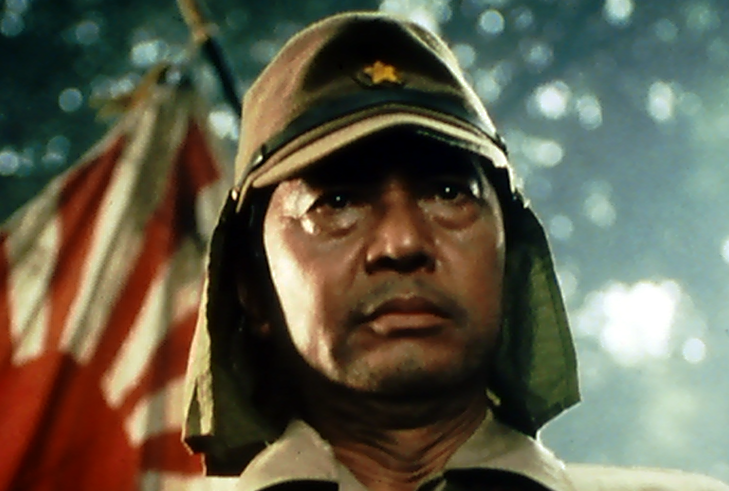 The characters in this film were actually pretty interesting with some very nice personality and charm which I don't see enough of in the Godzilla films. There's a whole ton of action in this film from the human characters alone and it was pretty fun but it can also be pretty cheesy. One thing you may not like about this film is that you don't see any monsters battling until the last thirty to twenty minutes of the film. I personally didn't mind it in this one as I found everything else going on in this film to be very entertaining. When we do get to a final battle you will find yourself to be a little disappointed as there isn't much going on but biting and punching. 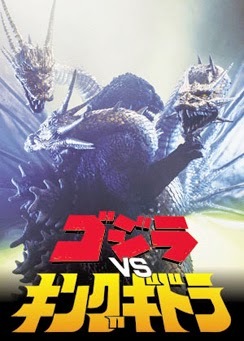 The battle does get a bit more exciting toward the second half of the fight but not by much and ends up being one of the weaker fights of the Godzilla series. I found myself to be more entertained by everything else that happens in the film. This film surprisingly enough uses a mixture of miniatures and computer generated 3D models for the special effects. I liked what they did with the CGI in this film as they only used it for when they are showing models on computer screens. The models have aged though (naturally) and can look a little bit weird but it's also cool to see nonetheless. I was mixed on the miniatures for the special effects as a good chunk of them have not aged well at all as they simply look like toys with strings attached and on that note you do indeed see the strings on the aircraft models and it looks weird. The buildings during the monster fight scenes still look pretty good though but not perfect as some buildings do look a little hollow. The scenes where Godzilla runs though the city was a bit cheesy as when they show his foot squashing people it looked very off. 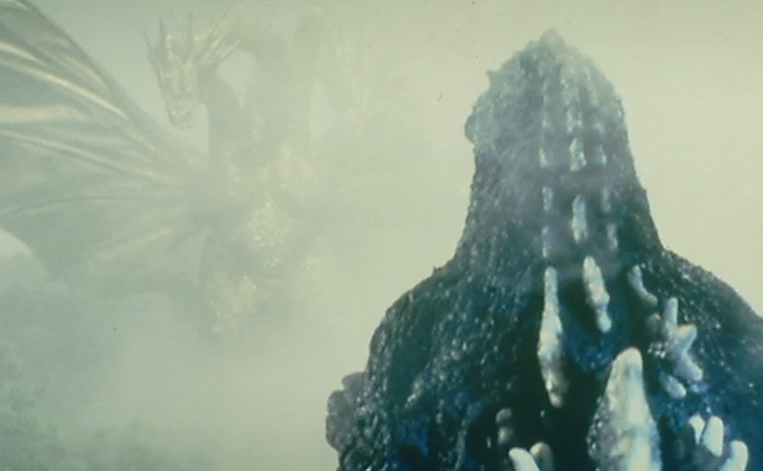 Godzilla was shocked to find out that "King Ghidorah" was actually a "Queen Ghidorah". The English dub in this film (as you've gotta watch the Godzilla films dubbed) is so bad that it is good. All the male voice actors give a performance that makes every guy sound ultra mainly by giving them all deep voices that superheroes would have. All the females also have a very exaggerated voice but this time they all sound like the typical damsel in distress characters although they aren't damsels in distress... The males aren't superheroes as well for that matter. I ended up loving it as it sounded soo out there that it was entertaining and as I said before it's so bad that it's good. Special features included with this movie are: Both teaser and full trailers of this film from back in the day, promotional photos, and the film's movie posters. The trailers are pretty average and are best watched after the film as they give away the big twist that happens in the film. I did find the toy commercial during the full trailer for the toys based on this film to be pretty charming. The promotional photos aren't anything special and are just basically screenshots from the film. The movie posters are awesome with art work that will get you all excited. Overall this film was so bad that it was good and is best watched with friends or family over as it adds to the fun of the film. Watching this film by yourself is fine too. If you are into serious films then you will hate this film with a passion. In the end I really liked this film and I do recommend you check it out. Well that is it for the first installment of "Godzilla Week 2014". 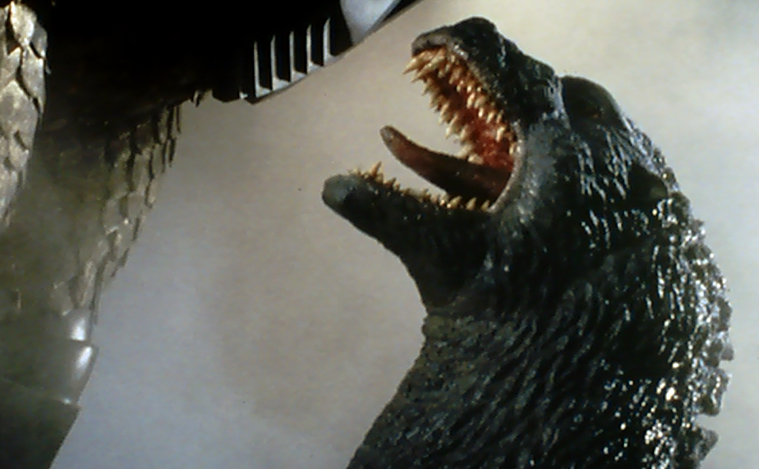 Make sure you check back into the site tomorrow as I'll be taking a look at "Godzilla Vs. Mothera: Battle For Earth".